The PPDM data model is a robust relational data model ideal for Master Data Management strategies and for business focussed application development. The data model is designed using a process known as the PPDM Way by subject matter experts, data management professionals, developers, regulators, data vendors, application vendors and more. 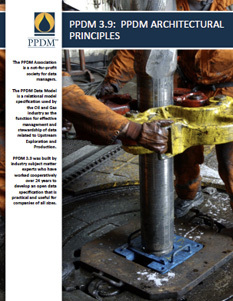 The PPDM data model – developed collaboratively by the petroleum industry and for the petroleum industry – is the de-facto choice for an industry that increasingly recognizes the value of standards-based solutions and effective data management. Over $100 million worth of knowledge. The PPDM data model has evolved and continues to be enhanced, through the participation of leading industry experts working together to solve real-world oil and gas business problems. In fact, simply adding up the time contributed by these professionals, it is estimated the value of the PPDM data model is over $100 million. No single company could come close to replicating this expertise and value. That’s why the PPDM data model is one of the strongest reasons for petroleum industry companies of all sizes to join the PPDM Association.